From A NIGHT IN CASABLANCA. 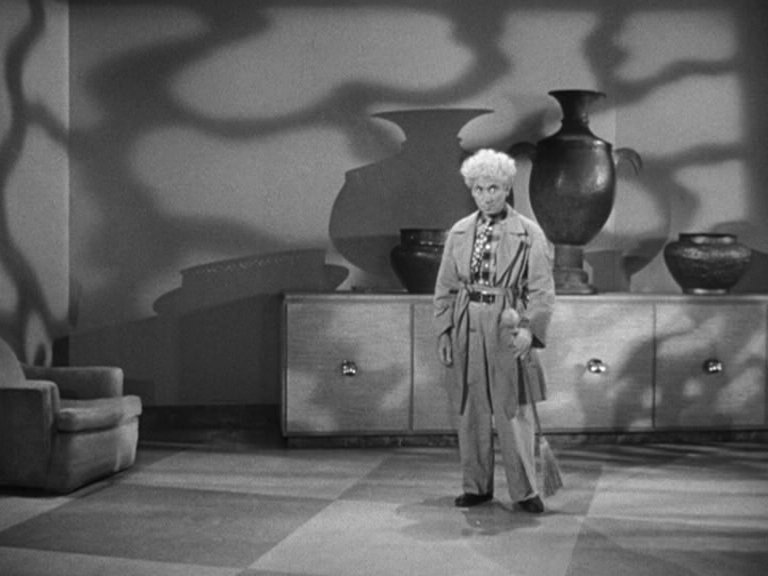 Harpo waits for his big scene to begin. While, in the background, shadows from a gizmo known as a kookaloris (or cucaloris, cookaloris, cookalorus) suggest a vaguely North African mileu. And the outsize urns add something important too. Also Sig Rumann, progressively deprived of hair, beard and moustache. 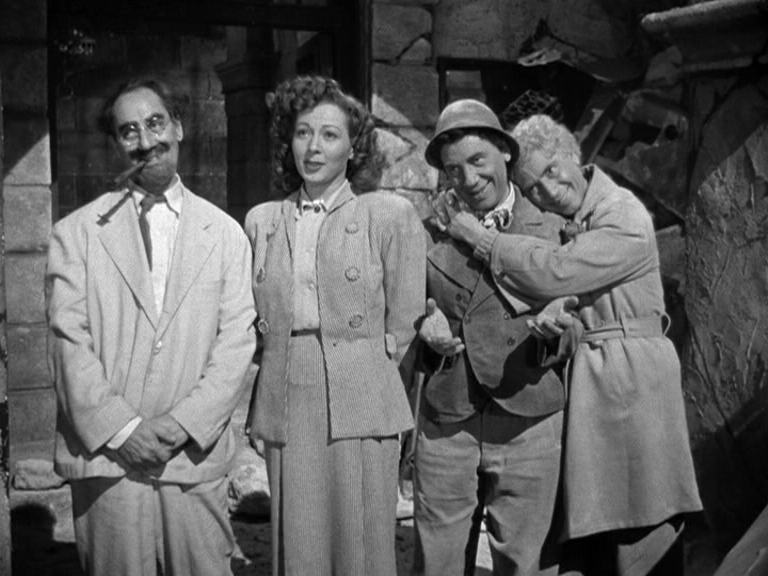 The beard ends up on Groucho, transforming him into a dead ringer for Vladimir Ilyich Lenin, although the cigar also recalls Castro.